One afternoon I had a bit of time before an interview for a story and I thought I would check out some of the historic sites in my own back yard, the Land of Lincoln. Although I had been there before I decided to take a minute and stop by the Lincoln Depot. This is a quiet place; in fact, I was the only visitor that May afternoon. I walked around and could almost see the train with Honest Abe getting ready to depart for his first term as President of the United States in Washington DC. 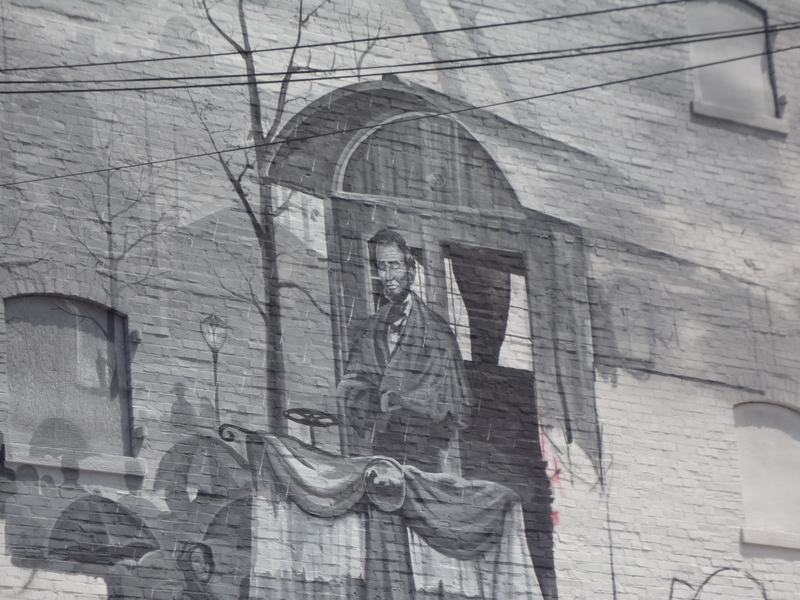 In his farewell speech, Lincoln shared his love for the city he was leaving and called upon God for guidance for the job he was taking on. The Lincoln Depot website shares the words he spoke so eloquently as he departed the town he called home for the last time. Even today, years after the speech was read, in fact, especially now that we know just what sacrifices he would make to tie the tattered nation together the words still resonate. If you have an hour or even half an hour take a minute out of your visit Springfield to watch the video, visit the Depot. Be sure to view the mural (see the picture above) for the full effect. Located just two blocks from the Lincoln home, Lincoln’s Depot is located at 10th & Monroe Streets, Springfield, Illinois. The Lincoln Depot is privately owned by a law firm, but the lower level is open to visitor’s weekdays from 10 a.m. to 4 p.m. or on weekends and holidays. Call 217/544-8441 or log onto http://www.abrahamlincolnonline.org/lincoln/sites/depot.htm for more information.